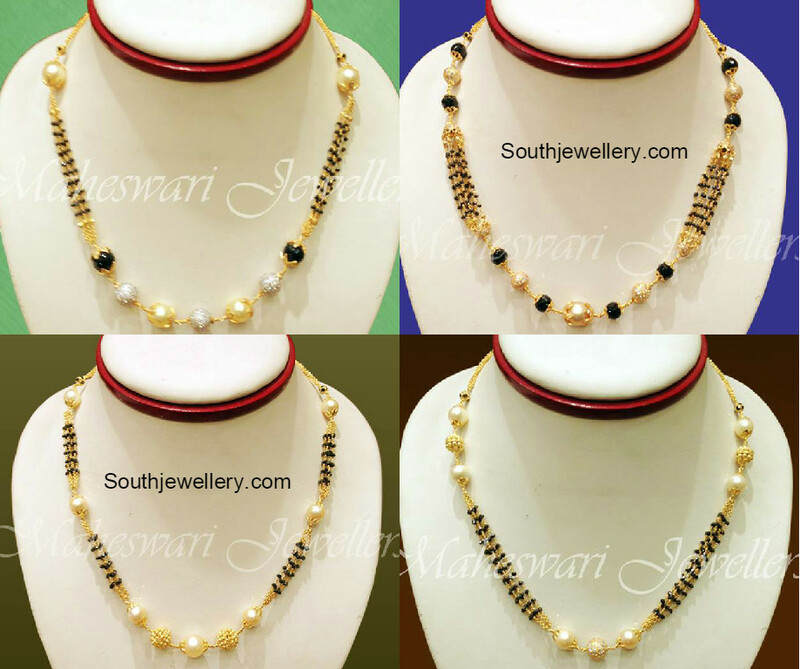 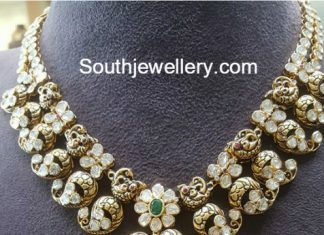 22 carat gold floral pacchi necklace and mango peacock haram adorned with polki diamonds, rubies, emeralds and south sea pearls paired with suitable chandbalis. 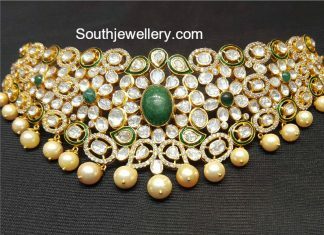 22 carat gold antique peacock mango nakshi haram adorned with polki diamonds, ruby, emerald and south sea pearls. 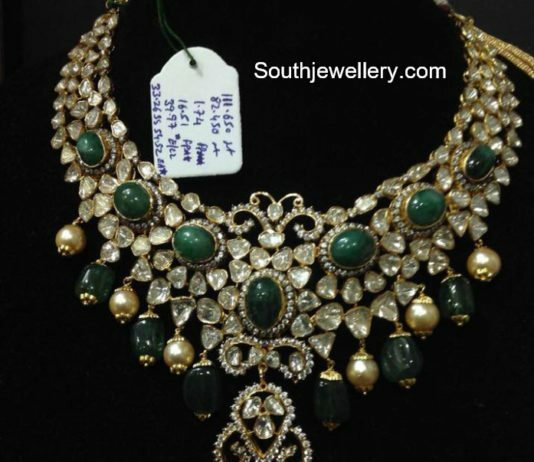 22 carat gold antique peacock pacchi haram adorned with moissanites, rubies, emerald and south sea pearls. 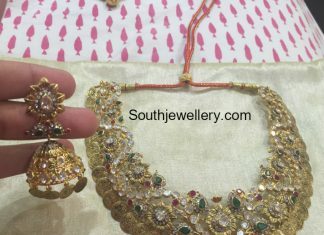 22 carat gold antique Lakshmi kasu necklace and matching jhumkas adorned with uncut diamonds, rubies, emeralds and single cut diamonds. 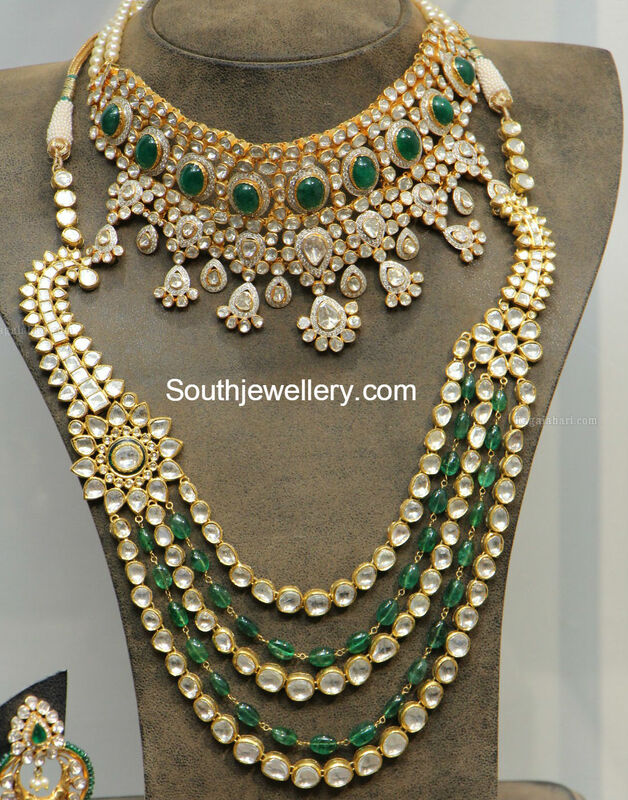 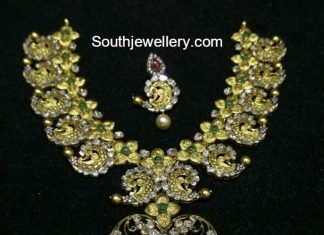 22 carat gold bridal polki diamond choker and emerald polki diamond haram from Hiya Jewellers.